While the arrival of autumn for most people generally brings along Pumpkin spiced Starbucks coffee, pumpkin pie, fashionable scarfs and scratchy sweaters for the chillier weather. For the rest of us who prefer to spend their free time on two wheels, the arrival of autumn means new product launches from our favorite Red Devil company...aka Dainese. For this time around Dainese surprised us with the introduction of the Dainese 4 Stroke Long Gloves. The gloves in a sense were a no-brainer given how popular are the 4 Stroke short gloves. The new gloves feature a reinforced outseam for extra durability and protection. The double layer goatskin palm will definitely aid in the abrasion protection as well as on the bike comfort. Additionally, the gloves feature the a pinky finger bridge which is aimed to stabilize and and prevent fracture injuries of it in an event of a crash. As you can expect of Dainese gloves at this price point, there will be of course composite inserts at the digits and TPU palm protection slider. If you are an amateur MMA fighter and you are afraid of smashing your knuckles, fear now. 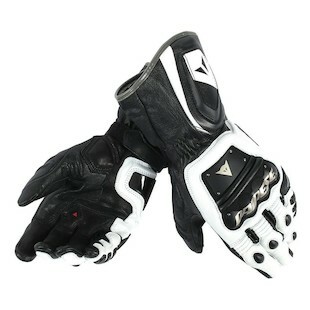 Dainese thought about that by incorporating a stainless steel knuckle and hand protection. The fit and the style of these gloves is decisively European. If you are looking to tip top protection in a comfortable European package the Dainese 4 Stroke Long gloves may be just the right ticket for you.